Make a splash in the landscaped pool and relax at the Poolside Bistro – you will be excused for thinking you’re staying at a resort. To ‘share’ your enjoyment, take advantage of the free wi-fi for guests. Make the most of handy communal laundry and kitchen areas and cook up a feast on the barbecues. Or, let someone else take care of catering and make your way to nearby Sugarbag Cafe for local specialties . This park allows you to rough it or glam it at any level that suits. Either way, when you retreat to your campsite you’ll be surrounded by nature and guaranteed a stunning night sky. 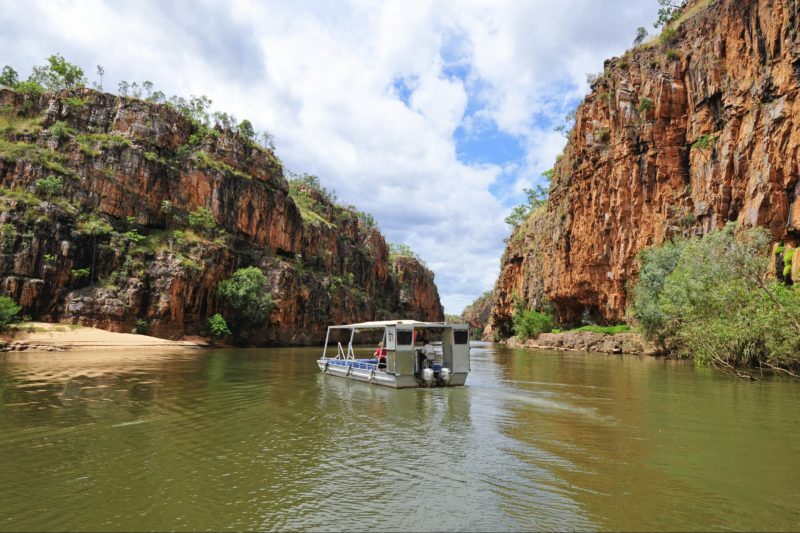 In the daytime stroll to the nearby visitor centre to arrange a boat cruise on the stunning Nitmiluk (Katherine) Gorge. Energetic? 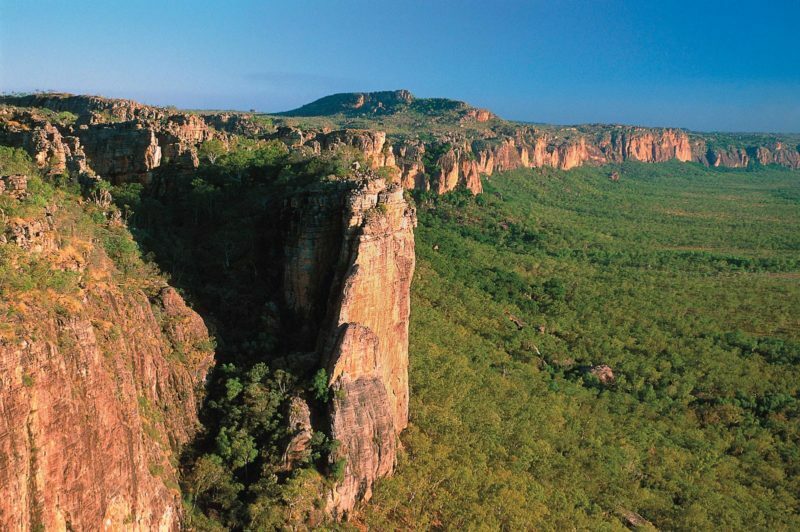 Hire a single or twin canoe and paddle your way around, or embark on one of the many nearby walking and hiking trails. 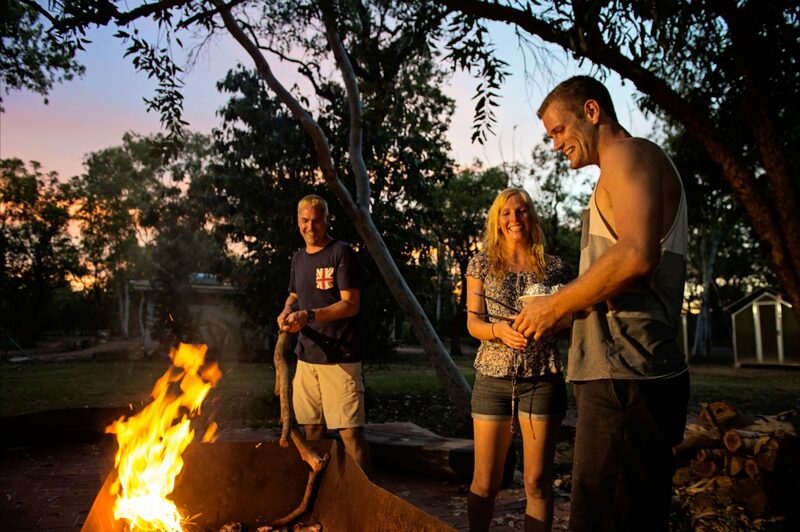 The Nitmiluk Campground allows visitors to experience the splendours of the National Park at your doorstep. Our fully serviced and well-maintained caravan &; camping grounds are centrally located, with several short walking tracks nearby. There are 40 powered sites to choose from, all set on grassed and shady areas, with amenities close by. 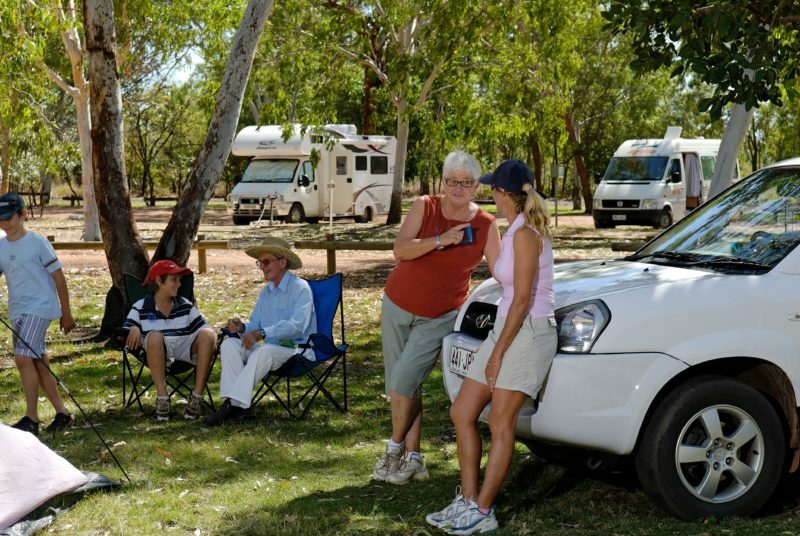 All the camping sites are set on grassed shady areas and are set amongst natural surroundings, with amenities close by. Tent Village is great value and super convenient. 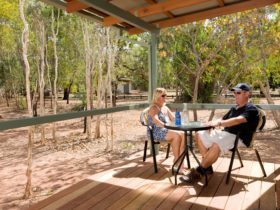 Our Permanent tents are located within the Nitmiluk Campground, a short walk from the Resort Style Pool and amenities block. The Permanent Tents area is shady, fully fenced off from the campground and has its very own fire pit. The tents are unpowered, clean and comfortable. Your package also includes a dinner meal (chefs special), and a pancake breakfast.